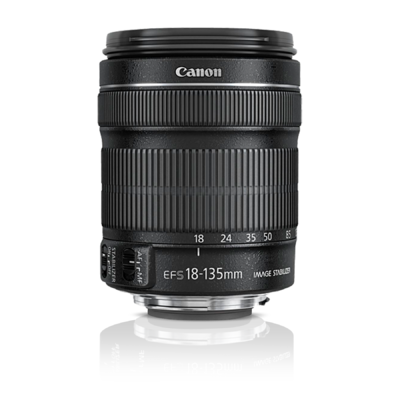 Designed to exceed expectations and ideal for video and still images alike, the new EF-S 18-135mm f/3.5-5.6 IS STM marks a new standard for EF-S lenses. 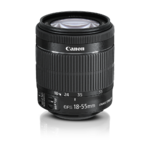 It features a refined Image Stabilization system that delivers up to four equivalent stops of shake correction throughout the zoom range; and offers a maximum magnification of 0.28x at the telephoto end, while remaining even more compact in size. 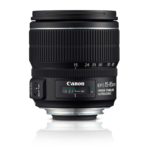 This EF-S lens supports the Canon EOS Rebel T4i DSLR's Movie Servo AF feature for smooth and quiet continuous AF during movie shooting by utilizing a new six-group zoom system and the adoption of a stepping motor and focus mechanism. High-speed autofocus is achieved thanks to an Inner focusing system, high-speed CPU, and optimized AF algorithm. 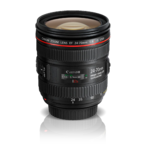 Appearing for the first time in a Canon lens is Dynamic IS (Movie Shooting Mode only) that uses a wide image stabilization correction range to help ensure steady video while shooting when walking. 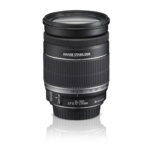 Whether shooting movies or stills, image quality is phenomenal, with one UD and one PMo aspheric lens providing high resolution and high contrast images with reduced chromatic aberration throughout the zoom range. A 7 blade, circular aperture ensures beautiful, soft backgrounds and optimized lens coatings ensure excellent color with minimized ghosting and flare. A zoom ring lock even prevents the lens from accidentally extending.